Just in case you missed it, Instagram recently revealed they were making a huge Instagram algorithm change for 2018 – one that users have been wanting for years! What is the Instagram algorithm change and how does it work? Back in 2016, users were not happy with how Instagram changed the order of their feeds from chronological to content-focused, based on their algorithm. As a result, businesses saw a significant decline in engagement and impressions. 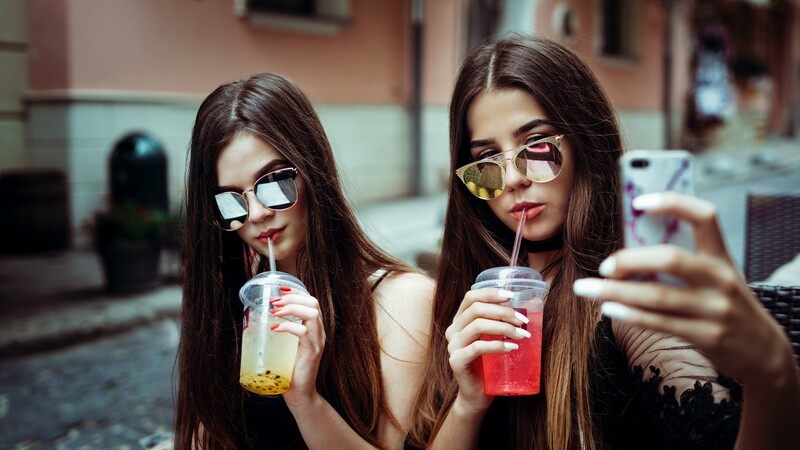 Rumours began to circulate suggesting Instagram had a hidden agenda, especially as a decline in the algorithm meant businesses needed to boost posts and run ads as a necessity. “Based on your feedback, we’re also making changes to ensure that newer posts are more likely to appear first in feed. With these changes, your feed will feel fresher, and you won’t miss the moments you care about.” – Instagram. What about the Chronological Order Feed? Sadly, the chronological order to a feed we used to know and love isn’t back. The Instagram algorithm still analyses the posts viewers react to the most and therefore makes them the ones you’re more likely to see. Now when you post something it is only shown to 10% of your viewers; if that post does well in that 10% straightaway, only then will Instagram show it to the other 90% of your following. This is why some posts work… and some don’t. The engagements and comments that you place on posts drive what features in your news feed, with an aim to expose you to images you are more likely to interact with (similarly to website cookies). In some ways, the new algorithm is bad for impressions and engagement; however, it is now encouraging and enforcing users to be more authentic and personal with the aim of building a relationship with their followers. But what does the Instagram algorithm change mean for me? With the new Instagram algorithm in mind, businesses and brands in particular have to think about why they are on Instagram. Whether it be a personal blog, for fun, to build a business or land sponsorship deals, there needs to be a shift in the way people are using the app. It is possible to beat the new Instagram algorithm change of 2018; marketers and businesses just need a better understanding and an airtight action plan! There is no point in posting any old content and hoping you get those likes and comments. You need to understand who your following are and what they are craving to see on their feeds as a collective. That way, you know you’re posting something that they will love and relate to; in return, you gain on engagement. This is one of the hardest things to master on Instagram because it will differ for everyone. Some people prefer to post multiple times a day, others once, some every few days. All of these routines can be successful; what is essential is that you understand what works best for you and your community. Aim to create an ongoing theme throughout your feed; this will in turn develop your own unique aesthetic. You are your own brand and your feed is a great way to showcase an extension of you. To get engagement you have to give it. Comments are the Holy Grail when it comes to beating this. Think of engagement as conversation; replying to and liking comments will boost you on the algorithm level, as well as showing your following you appreciate their love and support. Timeliness matters too! Within the first hour of posting, staying on top of comments and engagement is a must. The slower the response time, the more your exposure will decrease. Gone are the days of caption free content or short and snappy statements. Captions need to be engaging to boost authentic interaction on your account. With a longer caption, you have the opportunity to capture your audience, which therefore keeps them engaged for longer. Use your voice; have an opinion and own it. Then, once you have posted, converse with your following to really boost you up and beat the Instagram algorithm! The key to using hashtags for 2018 is to be specific. Don’t saturate your feed with useless hashtags, be innovative. Choose specific hashtags for specific posts, try not to be generic and use the same ones consistently, and switch it up. Everyone aims to hide hashtags in the comments because who really wants to see that in a caption? However, it’s been said hashtags in the comments aren’t appearing in search pages. Instagram love when you utilise their new features, so go and start following those hashtags. Users will spend substantially longer watching your videos on stories as they feel they are getting a more authentic you! Stories are also one of the many ways you can drive engagement to your feed. Be sure to tag locations, use hashtags and create polls. The Instagram Stories “Swipe Up” feature also encourages engagement as it creates a direct link to any website right from the app. All of these little details will give you a big boost, but like for like with the comments tip: timeliness is essential. Replying to stories and responding to poll reactions is a must to ensure you rank highly. Story Highlights can also be one of the most engaging tools, as they can be seen permanently on your feed without disappearing after 24 hours. Keep them topic-focussed so your followers can keep up with the aspects of your feed they are most interested in. Engagement, when it comes to stories, is of utmost importance; it shows Instagram you are authentically interacting with people and that is the sole purpose of this algorithm. Authenticity is the premise of this new Instagram algorithm change; Instagram’s goal is to make sure everyone seems relatable, and that real people are using the platform to converse with each other. Regardless of how many followers someone has, if there is content you love appearing on your feed, then comment, like and beat the algorithm. Instagram continues to be one of the most important social media tools available, providing a clear platform to channel traffic to your business. This year, take the Instagram algorithm change as an opportunity to create deeper connections, produce high-quality content, and optimise your personal social media strategy to be as authentic as humanly possible.